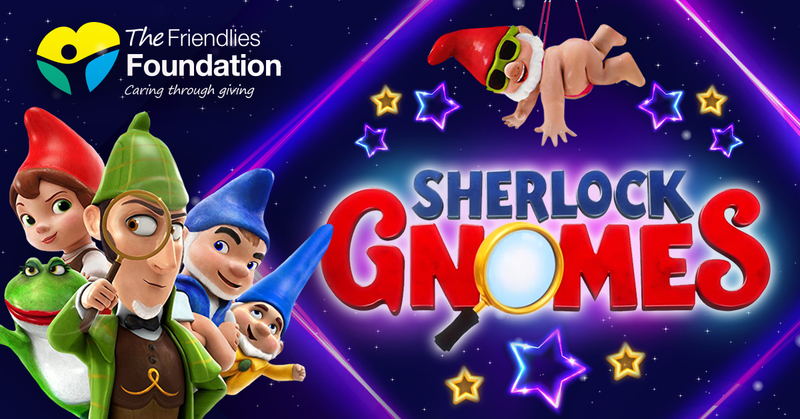 Come and see Sherlock Gnomes for The Friendlies Foundation Movie Under The Stars Charity Fundraiser. Great school holiday fun all for a gold coin donation. WHERE: Alexandra Park West, Quay Street, Bundaberg. 3.30pm for twilight markets, face painting and live music. There will be a barbecue in operation as well as popcorn and fairy floss available to purchase. All money raised goes to The Friendlies Foundation, the charitable fundraising arm of the Friendly Society Private Hospital.